Captain Edward Perrin has been fascinated by ships since his boyhood in Dorset, England Following this passion, he has sailed cruise ships around the South Pacific, Australia, New Zealand, Alaska, the U.S. West Coast, the Mediterranean, the Baltic, and the Caribbean. His credentials include a year as second in command of Cunard's Queen Mary 2 as well as the command of several Princess ships. Now, he is master of Regal Princess. 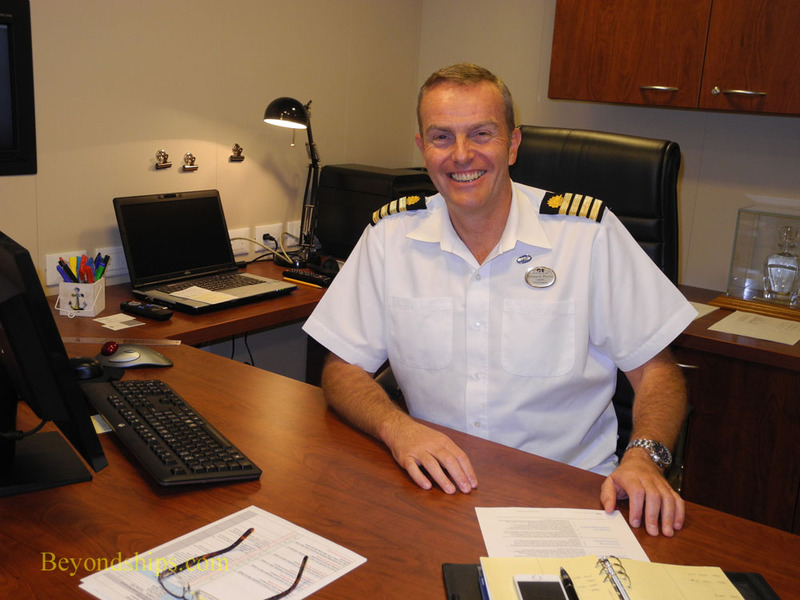 As master of Regal Princess, Captain Perrin is responsible not just for sailing the ship but also is the CEO of the entire operation. The cruise experience offered on Regal Princess is Princess Cruises' relaxed by sophisticated style of cruising. However, what is Captain Perrin's vision for presenting that style of cruising on Regal Princess. The Captain noted two areas that have received much positive comment. First, guests appreciate the number and variety of alternatives in dining, accommodations, entertainment, activities and leisure facilities offered aboard Regal Princess. Second, there is the lack of crowding. “There are a lot of people here. In the summer, we had 4,100 people and you didn't notice. Sometimes I walk around and say 'where is everybody?” This is attributable not only to the amount of space on Regal Princess but to the fact that several alternative ways to spend your time are offered simultaneously in different parts of the ship. As a result, the passengers are distributed around the ship rather than concentrated in one place and the flow of the passengers through the ship is enhanced.